This is our list of the best selling guarana supplements on the market right now. These 10 guarana brands have been ranked because they dominate the e-commerce sales charts, fitness bloggers love them and they have the highest user reviews online. 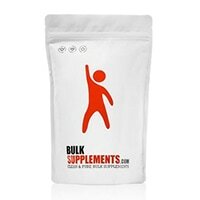 Bulksupplements Pure Guarana Powder is a powder form of the Guarana supplement. Designed to be used twice a day, Bulksupplements Pure Guarana Powder is easily added to shakes and smoothies for an added pick-me-up before a workout or with breakfast. This Guarana powder supplement does not contain sugar, soy, dairy, yeast or gluten and can be purchased in 100, 250g, 1 kg, 5 kg, or 25 kg containers. Nature’s Answer Guarana comes in liquid form in an easy-to-use dropper packaging. This super concentrated form of Guarana is designed to be added to water, but can also be put in other drinks, smoothies and shakes. 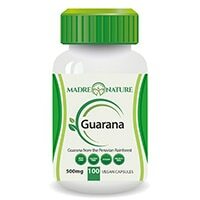 Each 1 fl oz (about 28 drops) of Nature’s Answer Guarana contains 1,000 mg of Guarana, so a recommended dose is between 14 and 28 drops 2-3 times a day. 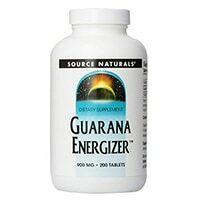 Source Naturals Guarana Energizer provides easy-to-swallow Guarana supplement tablets. With 60 tablets per bottle, Source Naturals Guarana Energizer can be easily transported to and from work, the gym, or class. To avoid an upset stomach, you will want to take this Guarana tablet with food. Natrol Guarana capsules are another option if you’re looking for an easy supplement to take on the go. 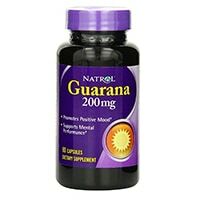 Natrol Guarana capsules only contain 200 mg of Guarana, providing a low dose to individuals who already take supplements containing Guarana or are looking to ease into taking the supplement. Also contains rice powder, gelatin, maltodextrin, water, and magnesium stearate. 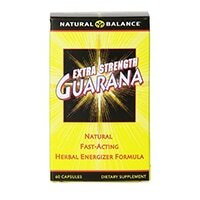 Natural Balance Extra Strength Guarana contains a blend of ingredients. In addition to Guarana, Natural Balance Extra Strength Guarana also contains Korean Ginsing, Passion Flower, and Gotu Kola. 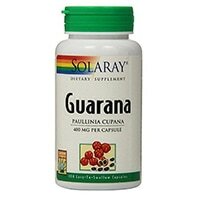 Solaray Gurana Capsules is another low-dose Guarana supplement for individuals intolerant of caffeine. With only 200 mg of Guarana per capsule, each dose contains about the same amount of caffeine as a small cup of coffee. You will want to take the Solaray Gurana Capsule with a full glass of water and potentially a meal. Because Madre Nature Pure Fruit Guarana are 100% pure Guarana, you don’t need to worry about taking additional chemicals or supplements when taking this supplement. Effects of one capsule can last up to 6 hours. Herbal Plus Guarana from GNC is a low-dose Guarana herbal supplement with 36% caffeine. Each capsule contains 250 mg of Guarana. Herbalife Nature’s Raw Guarana Tea is an excellent option for someone looking to drink their Guarana instead of take it in a capsule form. 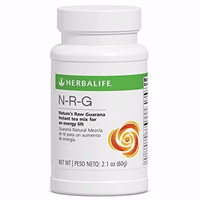 While Herbalife Nature’s Raw Guarana Tea is actually a powder and not traditional tea leaves of bags, you can make both cold and hot tea with this supplement. As a powder supplement, you have the control of how much or how little product you use each day. The Life Extension Supe CLA Blend with Guarana is a supplement that contains more than just Guarana. 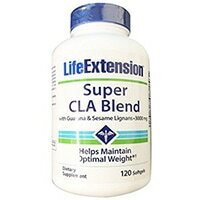 If you’re looking for a dietary supplement that can provide you with additional ingredients, the Life Extension Super CLA Blend with Guarana also contains a conjugated linoleic acid blend and sesame seed lignin extract. This supplement comes in an easy to take softgel tablet. 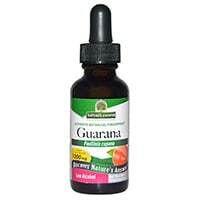 Guarana is a stimulant that is frequently used in an attempt to get more energy. It is typically found in things like energy drinks. The Guarana supplement is actually created from the seeds of the Guarana plant. The Guarana plant typically grows in Amazon areas, such as Brazil. Guarana is not found in other foods, so a supplement or additive is the only way to get Guarana in your system. Many people choose to take Guarana supplements for the caffeine they can provide. With almost double the caffeine concentration as coffee, Guarana can provide an additional boost to those in need of a pick me up. When selecting a Guarana supplement, you will want to consider the caffeine level of each capsule. While getting that extra dose of caffeine may be your top priority for taking Guarana, you don’t want to take too much. Too much caffeine can cause anxiety, jitters, and even sleep problems. 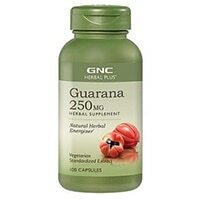 If you do not have a high tolerance to caffeine, you will want a lower dose Guarana supplement. Individuals who can tolerate high amounts of caffeine may want a larger amount of Guarana in the supplements they decide to purchase. Guarana may be found in other supplements, such as appetite control supplements or energy supplements. If you’re thinking of adding a Guarana supplement to your regimen, check to see if you’re already taking a small dose through other supplements. Select a Guarana supplement that considers other sources of Guarana you may be getting. How you take a Guarana supplement will depend on what benefits you’re looking to get. For an energy boost, take Guarana first thing in the morning. An additional dose of Guarana may be necessary midday. If you’re hoping your Guarana supplement will give you more energy at the gym, take your supplement about half an hour before you would like to begin your workout. You may also want to take Guarana by adding it to your pre-workout. Avoid taking Guarana too close to bedtime and don’t exceed 4000mg in one day. When taking Guarana, limit other sources of caffeine. Rick Grimes is the administrator and editor on top10supplements.com. He is a former D1 athlete, and a current fitness nut with over 10+ years in the health and fitness industry. After getting his bachelors degree he became devoted to contributing accurate, concise and researched based information to the bodybuilding industry. When he's not researching supps, you can find him on Twitter & Quora giving back to the community. Feel free to contact Rick with any questions.